My brother and I drove down to Topeka, Kansas this past weekend for an air show at Forbes Field. There were 12 DC-3 passenger planes and their military counterpart, the C-47, present at the show. 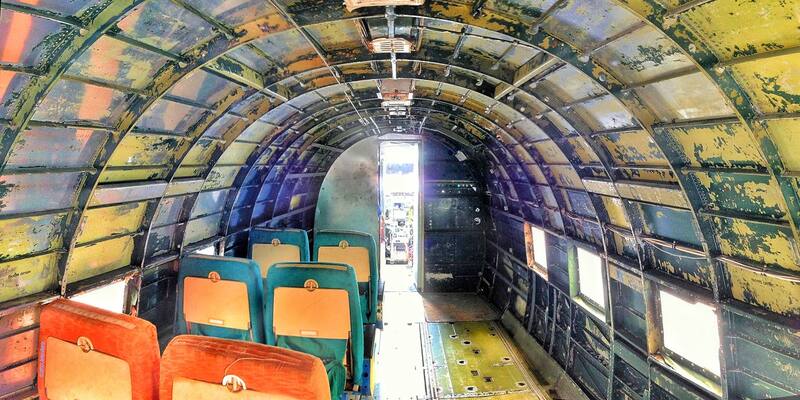 This is a shot of the dilapidated interior of a C-47 that seen a lot of miles. If only those walls could talk. It was a DC-3 that I took my first airplane trip in. This was in 1961 (I was 10). I flew from Norfolk, NE to Omaha, NE after a weekend visit with my grandfather. The ticket price? $3.50! Times have sure changed...and I still love flying.